I got lots of yummy new stuff out of the new catalogue in the last two days, and I couldn’t wait to get stuck right in and make some things. 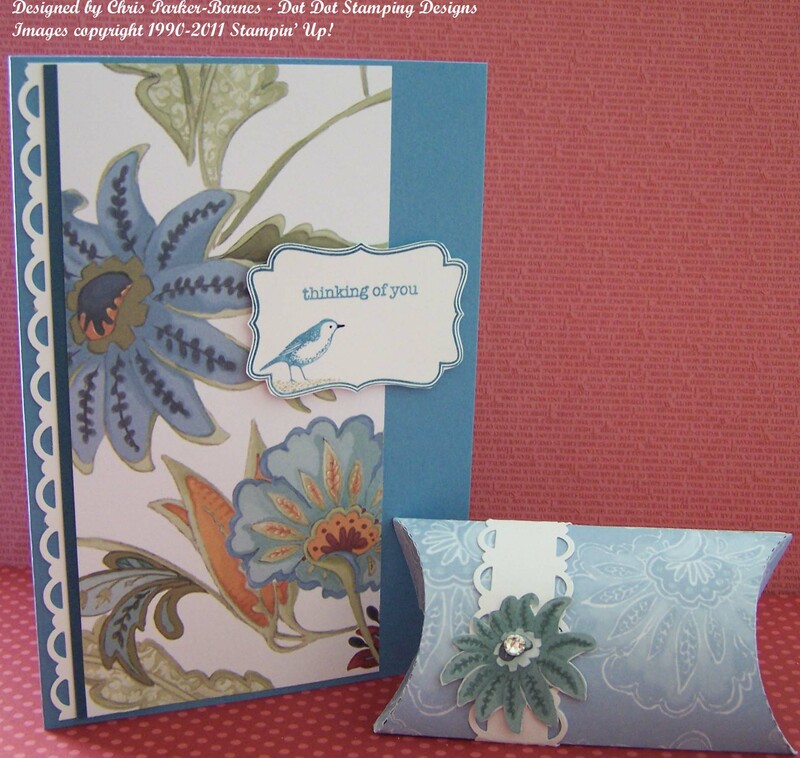 Today’s card and pillow box are made using the completely gorgeous Paisley Petals Designer Series Papers. As always, these papers look so much better in real life than they do in the catalogue. I have kept the card simple to let the papers do the talking…… nothing extra really required here. The greeting is from Teeny Tiny Sentiments, and the frame is from the new Four Frames stamp set. I am yet to get my Decorative Label punch (soon, I hope!) so had to cut this one out by hand. I will be back very soon with something completely different featuring a different paper.